Reel Talk Online: Who Should Play Pam Grier in a Biopic? Who Should Play Pam Grier in a Biopic? That's the question we posed on tonight's special edition of Cinema In Noir. Yesterday Deadline reported that the iconic actress Pam Grier of Jackie Brown, Coffy and Foxy Brown fame, who helped usher in the 70s blaxploitation films, is getting the big screen treatment. 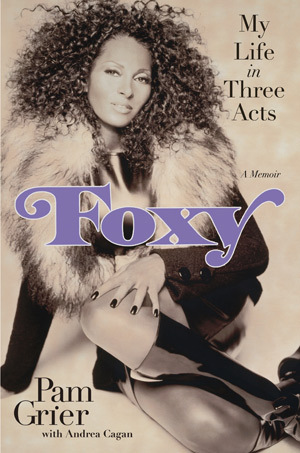 Eunetta T. Boone (mostly known from TV projects such as My Wife and Kids and Living Single) will adapt Grier's wildly popular 2010 autobiography "Foxy: My Life in Three Acts," which follows the transgression of her life and career, then and now. The book also reveals her scandalous relationships with Hollywood heavyweights Richard Pryor, Freddie Prinze, Sr. and John Lennon, to name a few, and touches upon her ongoing fight with cancer. I haven't read the book in its entirety, but it is certainly a page-turner. I just hope the movie does her story justice, and chronicles her role as a feminist and equal rights opportunist, which was especially profound during the highest point of her career. In any case, the ladies and I gave our choices for who could step into Grier's shoes on the silver screen (Meagan Good, maybe? ), and those we could see play her male cohorts. Listen to the audio of today's show below. Who do you think should play Pam Grier? I've read the book and had the pleasure of meeting and speaking with Pam on a few occassions, she's an amazing woman. I really hope they do her story and her justice. I will be very interested to see who gets the part. And yes, let's pray this will be a quality film. My choice would probably Gabrielle Union, as she happens to be my favorite black actress at the moment.